Who spends 3 days engrossed in a 19th century Russian novel that’s over 600 pages long? Am I the only one raising my hand? 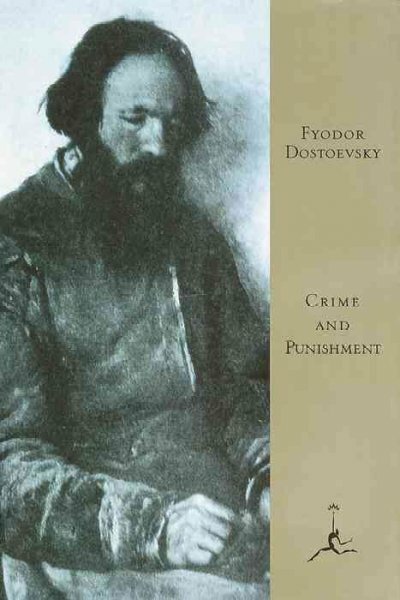 I’ve just finished reading Fyodor Dostoevsky’s 1866 masterpiece Crime and Punishment — book #3 in my 100 book challenge. According to the book jacket “the story of the murder committed by Raskolnikov and his guilt and atonement is without doubt the most gripping and illuminating account ever written of a crime of repugnance and despair and the consequences that inevitably arise from it.” On that note, I was interested to see how it compared to Truman Capote’s In Cold Blood, which I read last year. Dostoevsky spends nearly 100 pages introducing his characters before you get to the actual murder. Apparently this was one of the first-ever novels where the author delved into the soul of his character. It’s written in the third person, but the story often portrays the thoughts on the different characters, so you can really see the motives behind their actions. And while the murderer Raskolnikov is indeed a bit mad, he’s definitely not the most villainous character in the story. The story was surprisingly easy to read for one that was written 150 years ago, although I sometimes had a hard time staying focused amidst the numerous monologues. In the end, I enjoyed In Cold Blood more (action right away, character development later), although I appreciate just how revolutionary Crime and Punishment must have been for its time. 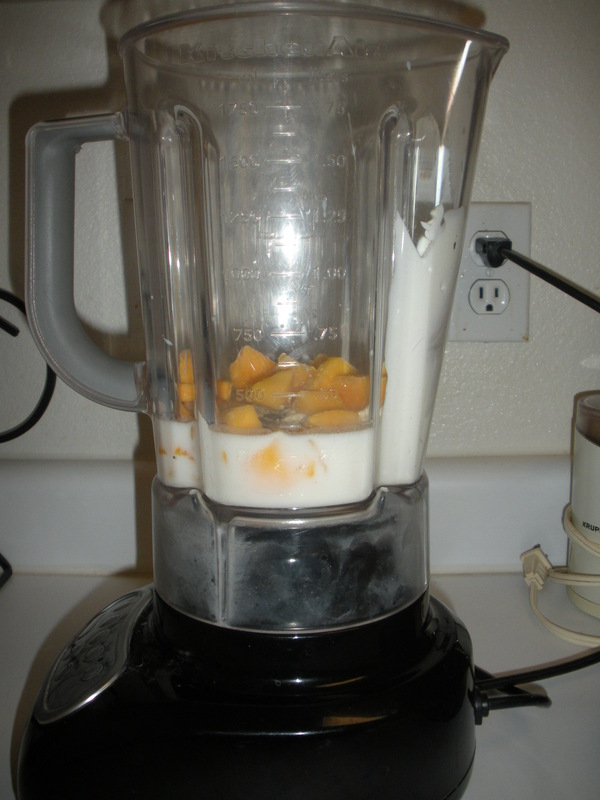 To prepare, combine all of the ingredients in a blender and mix on high for 20 seconds. Pour into a pint glass. It’s really that simple. This entry was posted in Book Challenge, Recipes and tagged book reviews, Dostoevsky, fiction, Indian food, mango, murder, recipes, Russian literature. Bookmark the permalink. I commend you for reading so consitently and persistently. 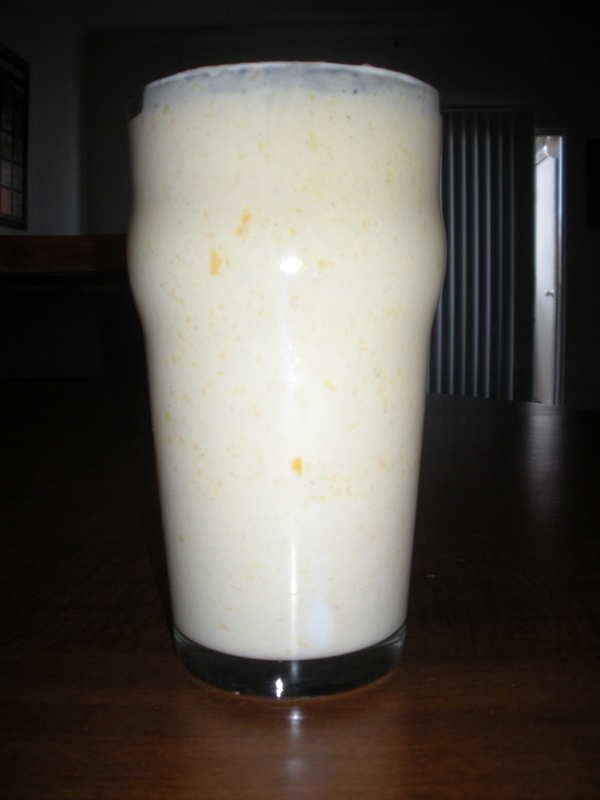 And the lassi looks lovely!